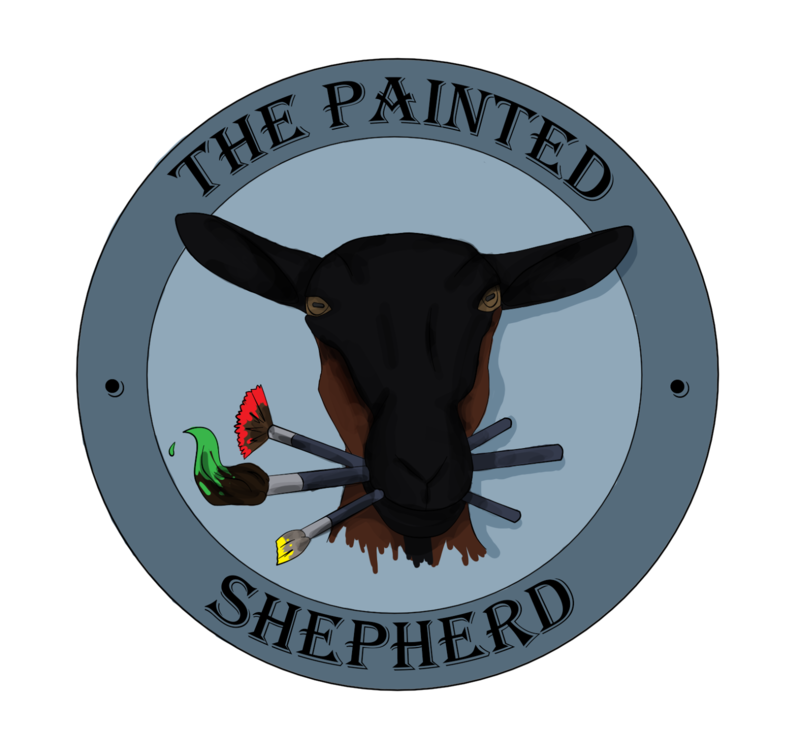 The Painted Shepherd : Why do I want to make Goat's Milk Paint into a business? These are the adventures of making, using, and eventually selling my hand crafted Goat's Milk Paint. It's a little bit farmhouse, and a little bit shabby. There will be linens, and goats, and more. Why do I want to make Goat's Milk Paint into a business? It's a fair enough question, if one is sincere in being interested in the answer. Is there a thing in your life that has always tugged at you? That thing where your special talent lies? Maybe you are a natural athlete, maybe someone who has always been interested in art, or who can play music by ear, or maybe you decorate, or are good in mathematics... My thing is that I have always had an affinity with animals. Now many people who love animals have learned to make an ethical living with them from the beginning, but that's not the course of my life. While my critters have always had a place in my life, I did other things, studied other things. Now, after learning many different lessons in life, and now that my children have just recently left home, I am in the process of starting a fresh. In my last post I talked about tiny/small houses. In order to move into a tiny house one has to fit into a tiny house. It's not about cutting back on excess possessions so much as it is finding those 100, 200, 300 important artifacts in your life. If I am going to find a better career fit, one that is uniquely suited to my talents and allows me to try my hand at being an entrepreneur, than I have to get to that important intersection of where my natural talent meets the world's need. I have to find what is important. I'm the sort of person who can't help but grow a garden every place I've ever lived. Animals seek me out and caring for them is my most natural state. I have an eye for color and beauty and I love to create with my hands (I would love to learn to be skilled at woodworking). I have a strong background in theology and my specialty is a theology of place.... belonging to the earth. In life I have acquired practical and broad skills in management. When I seek to bring my best to the world, I bring my God given talent, my interest, my skill, practical wisdom and a desire to bring this essence of this to others. And so I bring you paint that comes from the earth, it comes from well cared for animals, from good soil management, good animal husbandry, an ethos of a stewardship of creation. It is the essence of place. I actually hope to buy milk from others so I offer an outlet to other producers and encourage this way of life. When this paint is used by others on their passion, in their homes and nurseries, and hand crafted furniture, or artwork, a symbiotic relationship is formed. We forge a relationship based on common values then micro-economies are linked and community is strengthened. I always add pictures to my posts, but I can't thing of what one image would be. It would smell like essential oil, and feel like humus, and look like the Goat's Milk Paint lovingly applied to something valued. The Year of the Goat!